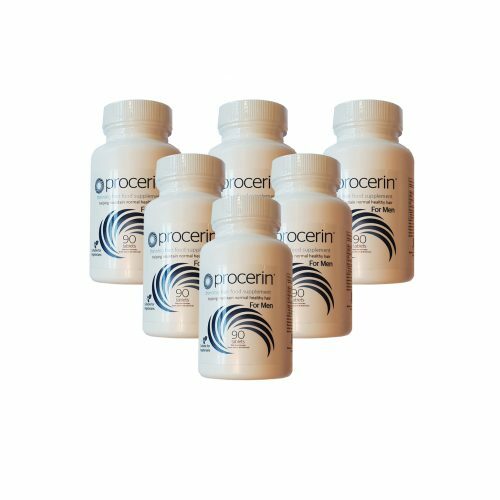 6 month supply offering a saving of £42 on products purchased individually (excluding any other discount). 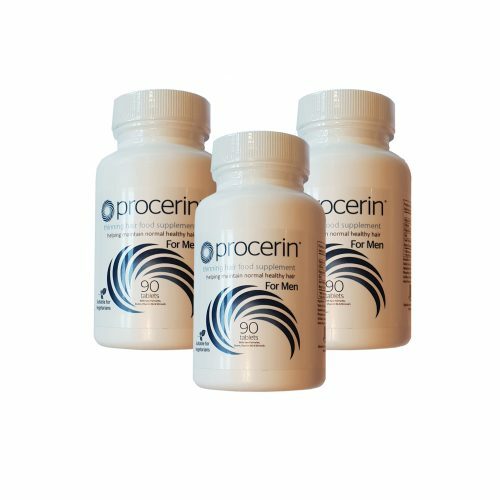 6 month supply offering a saving of £30.94 on products purchased individually (excluding any other discount). 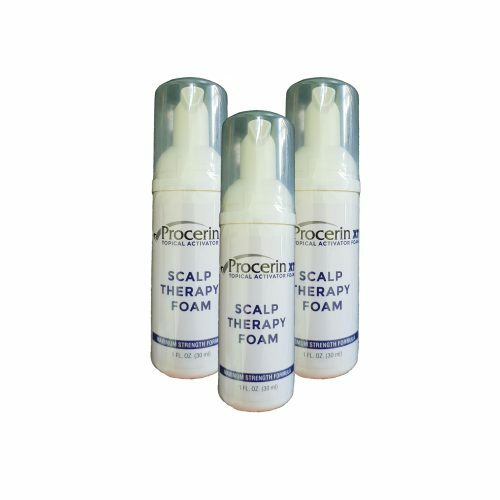 6 month supply offering a saving of £24 on products purchased individually (excluding any other discount). 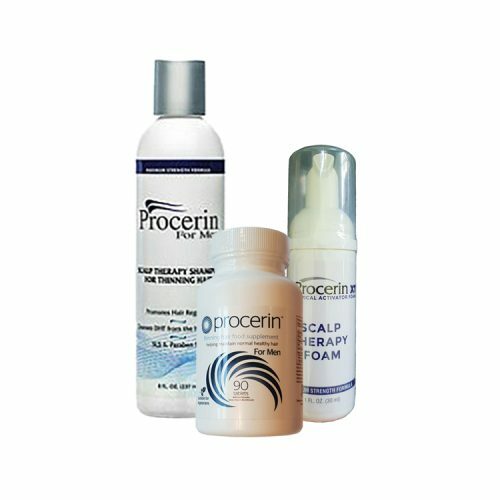 3 month supply offering a saving of £15 on products purchased individually (excluding any other discount). 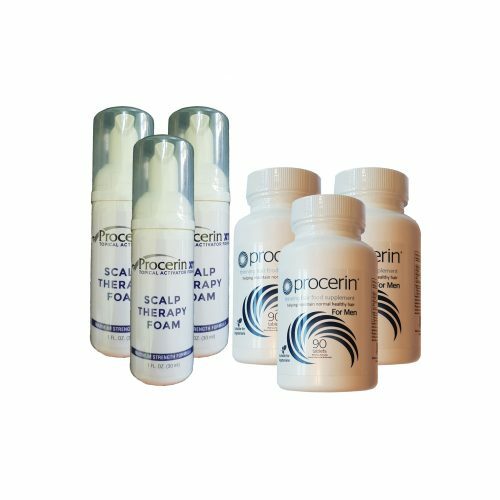 3 month supply offering a saving of £12 on products purchased individually (excluding any other discount). 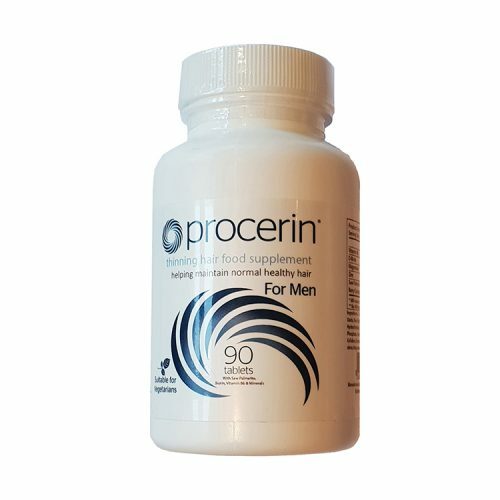 3 month supply offering a saving of £6 on products purchased individually (excluding any other discount). 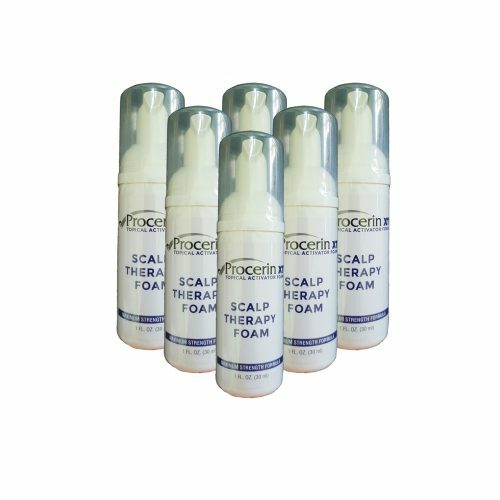 The Procerin Scalp Therapy Shampoo contains naturally derived ingredients to promote a healthy scalp ensuring the best chances for hair growth. 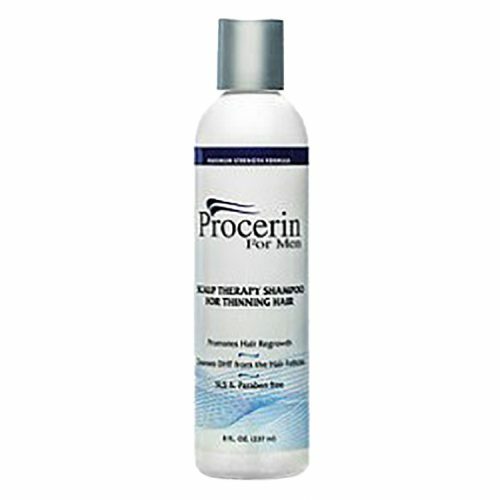 It gently and naturally removes DHT while cleansing the scalp. 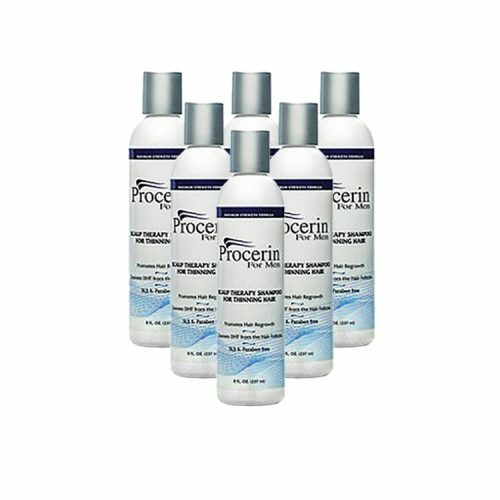 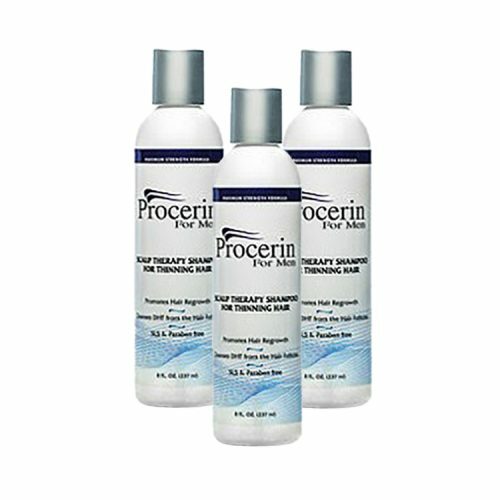 Procerin Foam provides essential topical nutrients for hair and is a safe and effective solution to male hair nutrition. 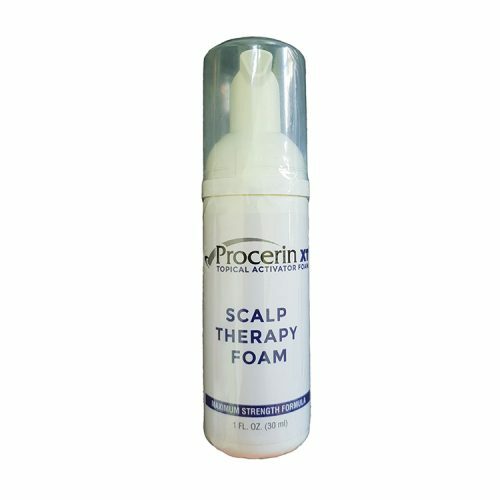 It contains powerful hair stimulating compounds which have been shown to assist with thinning hair.